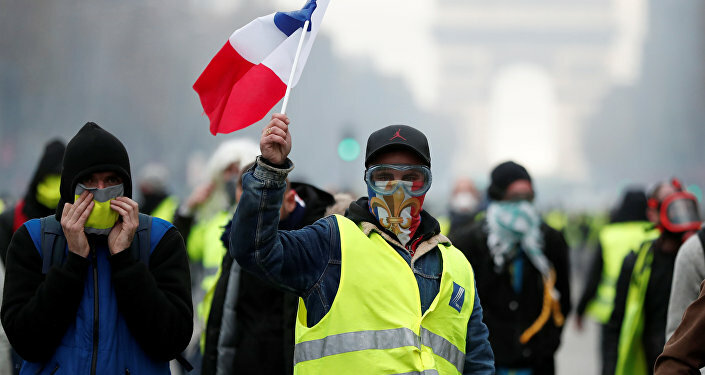 French President Emmanuel Macron recently said at the G20 summit that France will not alter its internal policy despite legitimate anger of the people who want to live better. Sputnik discussed Macron’s defiance to protesters with Maram Susli, political commentator based in Australia. Sputnik: What is your take on Macron's defiance to protesters whom he earlier referred to as ‘thugs'? How do these words sound to you? Maram Susli: What struck me the most about the statement is the immense hypocrisy behind it he labeled the poorest of his own country is thugs demanding lower living costs but then uses the French military to support Al Qaeda* in Syria, whose demands are not low fuel cost but ethnic cleansing in Wahhabi style Sharia law, so not to mention that France was one of the countries the lead the uprising in Libya which was linked to Al Qaeda and one of Macrons other statements that he tweeted was: "There's no place for destructive protests in France", which implies that he is supportive of distractive protests as long as they're not in France, just as long as they are in other places like the East, like the streets of Kiev or Damascus. Destructive protests are okay outside of France, that's what his statement implies. Sputnik: So you're saying there's a familiar pattern of hypocritic behavior from the French leader then? Maram Susli: Absolutely, it's okay for the East, it's not okay in the West, they have a different standard when it comes to protests in their so-called democracy, which unfortunately they don't have. Sputnik: Some analysts see the protests as undermining president Macron's aspirations to replace Angela Merkel as the leader of Europe, what's your take on that particular situation? Maram Susli: What is interesting is not only does he see himself as the next Merkel, but I think he also sees himself as the next Napoleon. He's just demonstrated a high-level of arrogance throughout his presidency and one of the reasons why he's not stepping down on these taxes is that arrogance. 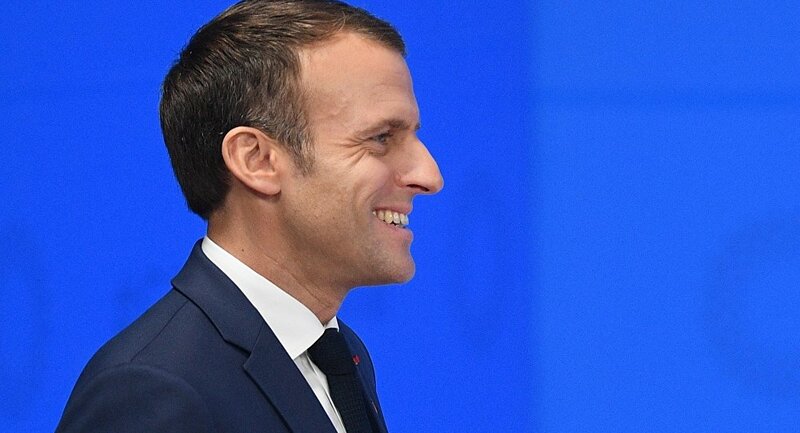 He's probably trying to raise the economic profile of France to the level of Germany just so that he could step up to the plate and replace Merkel in that sense. But another possibility is that France faces sanctions on Saudi Arabia. They're one of the biggest arms sellers to Saudi Arabia and the Khashoggi murder might cause them to halt those sales, and Macron, under his presidency actually increased sales to Saudi Arabia during the Yemen attacks and the Khashoggi catastrophe has caused him to, perhaps, feel that France's budget might be threatened by sanctions on Saudi Arabia. In fact, he was overheard at the G20 summit telling the Saudi prince that he was very worried that the prince never listens to him, so it's definitely something he's concerned about, maybe also because Trump has been asking France to pay for their military excursions, it's a lot of pressure economically for him because he's choosing to fund war and maintain this colonialism in France that's really why they want to keep going with these taxes. Sputnik: It's very interesting the points that you are highlighting, there's a number of paradoxes to Macron's behavior that you're underlining in your answers. Macron has been described as the president of the rich, do you have a particular point of view and take on that in terms of his behavior and this pattern of behavior? Maram Susli: It's very ironic because he presented himself as a left-wing socialist minded liberal, but in fact he's a neoliberal asset and he's popping up rich corporations. One of the excuses he used for these rising fuel taxes is that it would be better for the environment and it would lower carbon emissions, and he even said that one of the new updates for this law is that if you have a greener car you will get tax rebates. But, of course, these statements are basically just to win over the left-wing support that might back environmental concerns; but that's probably one of the other reasons why he labeled the protesters as far-right. But it's not really what these taxes are about, people cannot go out and afford to buy a brand new car because it's greener, they can barely afford purchase fuel, so of course he's just using environment and left-wing bulletins to try to pop himself up, but he's definitely the president of the rich not of the poor.